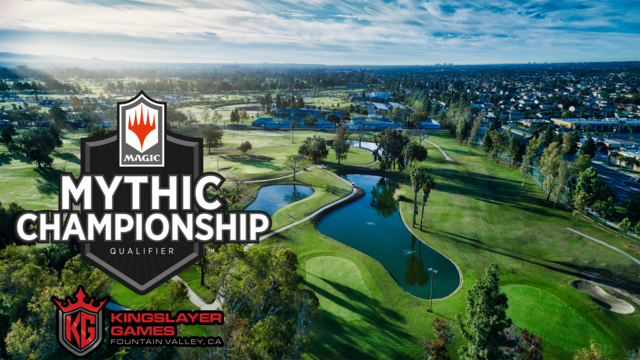 Our Mythic Championship Qualifier will be on June 2nd. Please read all of the below information. We will be taking online registration on our website starting on Friday April 12th at 10AM. This event is expected to reach capacity so be sure to register early. This event caps at 226 players. IMPORTANT: When creating your profile on our website, be sure to include your DCI number. This will ensure that we can start as close to 9AM as possible and run a smooth event for all participants. Parking: Free. If the large lot fills up there is $5 parking next to the lot at Mile Square Park. Free parking is not expect to fill up. Standard. 9 Rounds of Swiss with cut to Top 8. Food: There is a cafe on site with food and full bar. The staff at David L. Baker will be providing free water, iced tea and lemonade throughout the entire event.